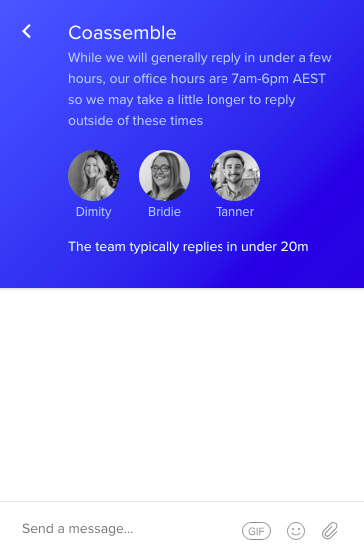 We know having Live Chat Support is important to our customers, so we've included an in-app chat window using Intercom Connect. Check out the steps below to learn how to use Intercom Connect to speak with our Coassemble support team. 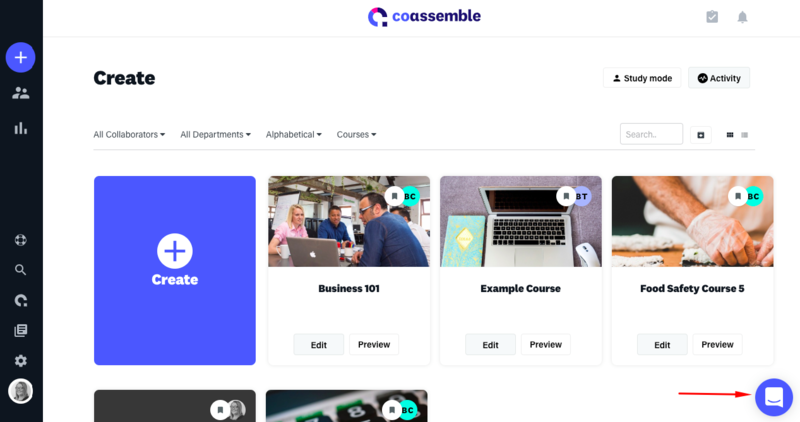 Step 1: While browsing any page on Coassemble, make your way to the bottom right of your screen to locate the Intercom Connect chat button. You may notice there are a few messages from our Marketing Manager, Alastair. He frequently sends Intercom Connect messages to ensure you're kept up to date with the latest changes with Coassemble. You'll receive updates from our team from time to time. 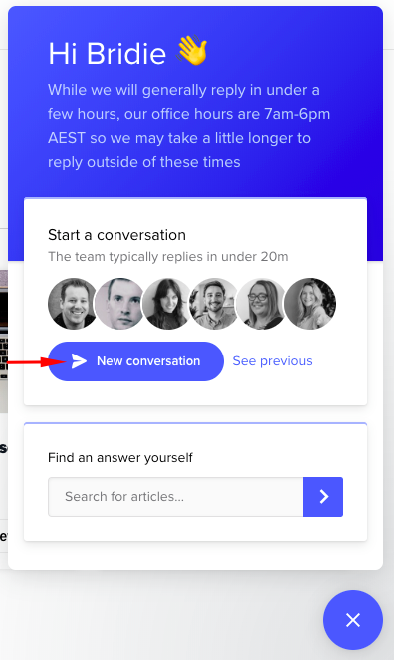 Step 2: If you would like to send a message to the support team at Coassemble, feel free to click 'New Conversation' once you've opened the Intercom Connect chat. Note: It is always very helpful if you screenshot the issue you're experiencing and attaching it as a file, and also include the URL where it is occurring.